Discussion in 'General Info about Internet Casinos' started by Marina, Jan 30, 2015.
each new company they pick up retains its identity and continues its own projects as well. and Bally. Despite the diversity their acquisitions brought, Scientific Games as a parent company, continues to focus heavily on lottery games. them into games. The list is huge and has well-known names like Boggle, Scrabble, Monopoly, Pac Man, Major League Baseball, and Zynga Bingo. launched in 1945 called the Williams Manufacturing Company. The founder, Harry E. Williams specialized in pinball games, though the company was divided, merged, split and more over the years. Today, Williams Interactive is responsible for numerous online casino games. WMS Gaming, on the other hand, works on land-based casino games. but the company also delved into fitness clubs and theme parks. 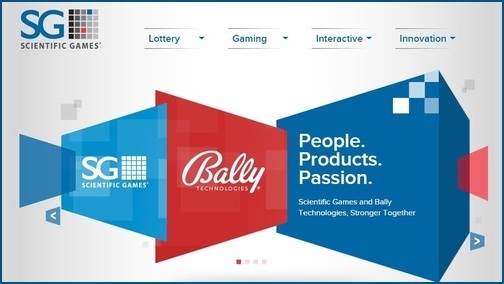 Also like WMS, Bally changed hands repeatedly and was divided and merged to the point where it no longer resembled the original company. as well as a mobile online casino platform. The company is so large, that when they joined forces with Scientific Games, the deal reportedly cost 5.1 billion dollars. What a beautiful article about Scientific Games Corporation.